Optus Business has partnered with NBN Co to deliver digital network and telecommunications services for Coles to improve the shopping experience of its customers. Specifically, Optus will partner with NBN Co to deploy fibre connections to Coles supermarkets, liquor stores, Coles Express convenience stores, distribution centres and store support centres. As first reported by The Sydney Morning Herald, Coles was previously working with Telstra. Optus said it will deliver high-speed data services to more than 2,400 stores that will enable Coles to implement future digital strategies and improve service levels for our customers. "The increased speeds and capacity of this new network give us the flexibility to rapidly increase the speed at which our stores can access and transfer data," Coles chief information and digital officer Roger Sniezek said. Coles expects the new network to make life easier for team members in store by reducing the time taken to complete regular processes, improving productivity and allowing more time to focus on customer service. Optus will also provide corporate mobile telephony services for Coles across Australia for voice and data. 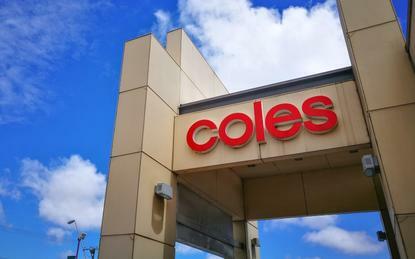 "Optus is pleased to be partnering with Coles to provide an enterprise-grade network and a range of information and communication technology services that will accelerate the digitalisation of the Coles store network and enable an even better shopping experience for customers," Optus Business managing director John Paitaridis said. Coles and Optus will also offer mobile and internet products to Coles customers in store and online, including offers to flybuys members.